The global maritime sector is an intimate coterie where members of consequence know everybody else. In a dispute it is a rare company that will appoint a law firm; rather it will know through the community which individual lawyer is the best for the task. Ultimately the star performers define the value of a venue like Hong Kong. One such star performer is Rosita Lau. In her over 20 years at international law firm Ince & Co, Ms Lau has broken so many glass ceilings it could be hazardous to walk in her wake. Graduating from junior assistant solicitor to being notified that the firm’s partners unanimously voted to promote her to be a partner of the firm in just five years was a record in itself but when she achieved that position she was the first female partner of the firm’s Hong Kong office and the first Chinese female partner of the firm. Since then Ms Lau, who specialises in transportation law, dry shipping, aviation, ports and terminals, logistics, insurance, international trade and personal injury, has received countless accolades and awards. 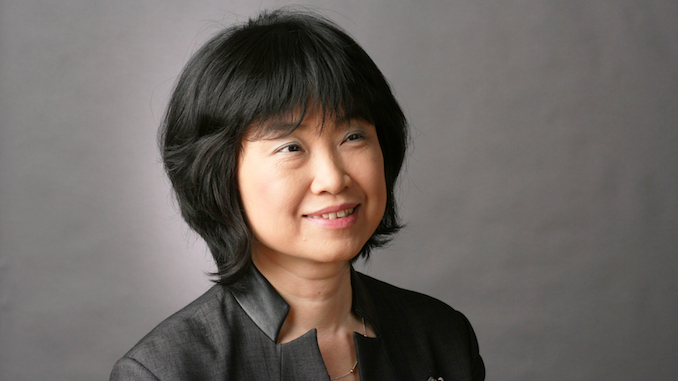 Most recently in 2010 and 2016, Ms Lau was twice ranked among “The World’s Top Ten Shipping Lawyers” by Lloyd’s List, the first Hong Kong lawyer and also the first Chinese lawyer to obtain this international accolade, and hitherto the only Hong Kong lawyer and only Chinese lawyer to gain it twice. It was again a Hong Kong first when Ms Lau won the Lloyd’s List “Individual Maritime Lawyer of the Year Award” in October 2016. Other awards and accolades include “Best in Shipping Award” presented by Euromoney at the Asia Women in Business Law Awards in 2014. A record breaking run (17 consecutive years, since 2000) as a leading individual in shipping on the Legal 500 Asia Pacific. And Ms Lau has been ranked a Leading Lawyer in Aviation and Maritime By Asia Law & Practice since 2004. She has also been ranked by Chambers Asia Pacific as a Band 1 Shipping lawyer for years. In light of such universal recognition it comes as a surprise to discover that the law was not Ms Lau’s first choice of career. “I wanted to be an astronaut,” she says. “I had excelled in both arts and science subjects but when it came to the stage of having to specialise, a combination of a dislike of my physics teacher and pressure from the principal to specialise in either humanities or science meant that my dream died then,” she adds without betraying how difficult the choice was. Her parents, who were both highly educated, arrived in Hong Kong in the 1950s along with thousands of other Mainland Chinese who were fleeing because of the turmoil in China at that time. Her father had studied political science at university and her mother had completed high school with flying colours. Her mother always came first in school examinations and competitions. “I was not born when my parents came to Hong Kong”, says Ms. Lau, “but I recall my parents describing how difficult their early days in Hong Kong were having to start from scratch.” Ms Lau recalls that her parents afforded her and her sister and two brothers a great deal of freedom in their educational pursuits. “My sister and I were never pressured into following traditional female roles,” she says. Ms. Lau studied law in England and obtained a Master degree in Law with a Mark of Merits from the London School of Economics. It was the exposure to material on Carriage of Goods by Sea, and the General Agreement of Tariffs and Trade, soon to be replaced by the World Trade Organization, during her time at LSE, which opened her eyes to the possibilities of a career in maritime law. But at this point nothing was set in stone. She did her practical training in London. She remembers very vividly the days of having to deliver briefs to Counsel at Temple in freezing cold weather in the evening, and running to the Civil Courts at The Stand with Counsel to arrive at hearings in time, often carrying a heavy brief case with bundles of documents and the thick White Book. Decisions, the impact of which may resonate down the years, can sometimes be taken on the spin of a coin. In Ms Lau’s case, following the completion of practical training, while still in London, she received job offers from five English international law firms with offices in, inter alia, Hong Kong. “I took the position at Ince & Co, simply because it was the first offer I received.” Had she taken one of the other offers a career in maritime law may never have transpired. Reporting at the Hong Kong office of Ince, Ms Lau was quickly put through her paces with a pile of cases that the more experienced team of lawyers didn’t want. More striking to people today was the makeup of the team, which was almost exclusively male and English despite it being just a few years before the handover of Hong Kong to China. An anecdote characterises the mood of the times. “Chris Moore was the senior partner of our Hong Kong office when I joined. He was a very capable lawyer who was enthusiastic and made a great deal of effort to make contact with local and Mainland Chinese clients, and so was Patrick Griggs, our then global senior partner, a renowned figure of the international maritime world, even after his retirement,” she recalls. “When Chris introduced me to clients some of them assumed I was either his girlfriend or his secretary,” she adds. Since then Ms Lau has gained satisfaction from witnessing a rising number of local or Mainland Chinese lawyers who have joined the ranks of the international law firms. Since joining Ince, Ms Lau also spent a lot of time expanding the firm’s practice in Asia, in particular China. She built up a wide network of clients and contacts locally and in China. “I am lucky to have a lot of friends and clients who are supportive. I treat all clients as friends. In return, they know that I care for them and friendship was further tightened,” says Ms Lau. Today as a long-time partner of the firm Ms Lau, a keen classical music buff, finds an analogy in the work she performs with that of a conductor of a symphony orchestra. “When one has a big, complicated case, where the shipowners may be thousands of miles away, you may also have to deal with cargo interests, crew, the crew’s families, the P&I Club, the hull and machinery insurer, the authorities of the place where the matter or incident happened, and, the media. And they will all be seeking your attention at the same time. Being in the middle you have to coordinate everything in a very clear minded way. You cannot afford to make any mistakes and at the same time you must ensure that your whole team works efficiently,” she says. “You are not a good maritime lawyer if you cannot attain that level of coordination and efficiency and achieve the best results in an as cost effective way as possible,” she insists. It’s a fact that she feels that in today’s cut-throat world of competition some clients may have lost sight of. It’s a point that Ms Lau feels strongly about. Conceding that the decade long shipping slump has been a major factor in a changing attitude toward maritime lawyers and their value she is still disturbed that for clients, price is too often the bottom line. Specifically, a major constituent of clients for the services of maritime lawyers are the maritime insurers, which have their traditional charging scale for lawyers’ fees says Ms Lau. “Maritime lawyers are frequently involved in cases that are just as complex as cases handled by lawyers involved in construction law or Intellectual property law, yet maritime lawyers get paid less comparatively speaking because of such traditional fee scales of maritime insurers.” she adds. But fees earning is not her paramount target. Providing services of the highest standard is. Ms Lau is charitable enough to spend enormous amounts of her own time as well on serving her clients, training up the juniors in her firm, building up, she believes, the biggest team of bilingual maritime lawyers in Hong Kong at a very early date and well before the return of sovereignty over Hong Kong to China. She also obtained the licence to set up her firm’s Shanghai office as early as 2000, in record breaking fast speed, before China joined WTO. She is known in the market for training young lawyers. Some of the junior lawyers she trained have subsequently gone on to careers as lawyers at other firms or in-house council in P&I Clubs. “This is part of my contribution to the Hong Kong maritime industry,” she says. One might speculate that dissatisfaction with the level of respect the maritime law profession is being accorded might have been one of the factors that led Ms Lau to become active in promoting Hong Kong’s maritime prowess beyond the realms of the office. It’s a nice theory but not the case. Amidst her very busy work schedule, in fact, she has always been approached by the government and various organizations that have looked to her assistance. Ms Lau was first invited to join a government maritime delegation to Dalian, China in 2004 and since then she has been a frequent delegate of Hong Kong maritime missions overseas and in China. She served as a chairman of the Appeals Board of Hong Kong Building Ordinance from 2003-2010. Subsequently she was appointed a member of the Maritime Industry Council in 2011 and she continued contributing from that appointment, providing the government with her view on how to enhance Hong Kong as an international maritime centre. She continued promoting Hong Kong’s maritime services. “I am honoured to be an ambassador for Hong Kong. Hong Kong has so many advantages and Hong Kong maritime players have achieved so much. They need to be promoted and made known to the world. We have been too humble in the past,” says Ms Lau. In 2016 she was appointed a member of the newly established Hong Kong Maritime and Port Board where she sits on all three committees. 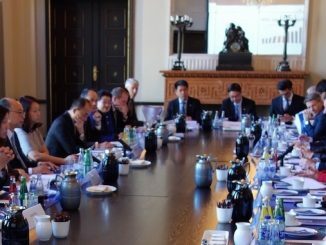 Also in 2016, Ms Lau joined a special working group under the auspices of the Financial Services Development Council. 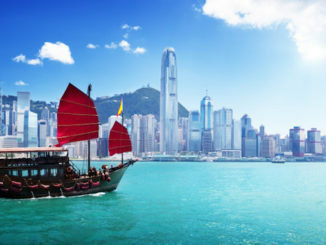 The recommendations of the working group, which were published in early 2017, suggested that tax concessions should be considered to attract more insurers to Hong Kong. In a Hong Kong context this was a radical suggestion in the face of government tradition that has long been proud of its laissez faire approach to business, and where special concessions were anathema. In fact Ms Lau is a firm advocate of proposals which may be seen as more radical still. 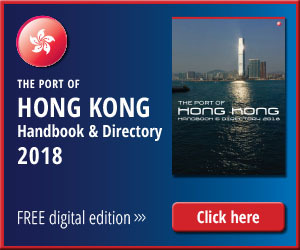 They centre on Hong Kong’s Shipping Register, noted for being the largest national register in the world and the fourth largest register overall. “Having the fourth largest ship register is one thing but I hope more work and employment for our maritime services would result from it, and with concerted efforts of multi-bureaus and multi-government departments we can do so,” she exclaims. Furthermore if we make the requirement, the process and procedures of application for authorizations of P & I Clubs in Hong Kong simpler, more straightforward and efficient, more P & I Clubs will come because without authorization, they cannot underwrite in Hong Kong and will not be in full operation in Hong Kong. With that, more insurance and business and connected services will have more opportunities, she opines. 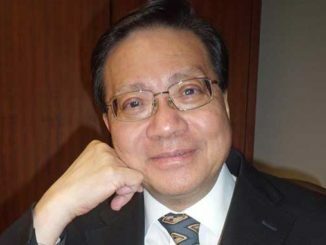 “The immediate outgoing Secretary for Transport and Housing Professor Anthony Cheung had done a lot in listening and responding to the requests of the maritime industry players during his administration of the maritime industry. The setting up of the Maritime and Port Board is a breakthrough,” says Ms. Lau. “I am looking forward to seeing more advances under the reign of the new Secretary Mr. Frank Chan”. With the advent of the new administration led by chief executive Carrie Lam such a proposal doesn’t seem as impossible as it might have been. There are early indications that the Lam administration will be more open handed – and the possibility of tax concessions for some have already been mentioned for the first time. Meanwhile, Ms Lau’s work with the Manpower Development Committee of HKMPB has already reaped solid results in the pursuit of wider opportunities for prospective maritime lawyers. Ms Lau maintains that when she joined the MIC six years ago, Hong Kong’s educational institutions offered precious little in the way of maritime courses. There has been progress. For a number of years the Hong Kong Government had been providing scholarships to students of the Dalian Maritime University who took the one-year Master in Common Law degree at Hong Kong University. This year the scholarship scheme has been extended to students from the Shanghai Maritime University. Whilst welcoming the initiative Ms Lau has been critical of what appears to be one-way traffic that fails to benefit home-grown talent. “I feel it is essential that we nurture home-grown shipping law graduates if new policies are to be effective,” she says. Ms Lau feels it is important to get the attention of the new generation as early as possible. As a result of her suggestions to the MDC Hong Kong’s secondary schools will receive specially prepared learning packages about the maritime sector, possibly as early as this November, to coincide with Hong Kong Maritime Week. At the university level, meanwhile, the Hong Kong University’s Law Faculty has re-packaged a programme of shipping related modules including marine insurance, international trade and basic principles of shipping law. Students who opt to take these subjects in the third and fourth year of their degree may be entitled to claim a newly created scholarship from the Maritime and Aviation Training Fund. The new programme began this autumn. Ms Lau may not have achieved her early ambitions of becoming an astronaut. For that we might have to thank an uncongenial physics master. Hong Kong maritime is the better for her.